Thoughts on the long and short term, necessities and otherwise. This will be a bit of a long post, but I’m going to section it up as best as possible to make it easier to digest. After 297 levels and a lot of conversations with different people, including my wife who is often teamed up with me, I’ve had a substantial experience in this game since the B.E.T.A., as well as in the franchise as a whole. I decided, if for no other reason than to do so for myself, that I needed to come here and share some substantial feedback with the aim of looking forward into what’s needed in the near and late future. While some of these are shared and compiled from people I’ve had the pleasure of talking with, I’ll stress that the decision to include them here is based on the fact that I agree with them. Note, there are some spoilers related to content in this, but they start about halfway through. I worry the development team had too much faith in the playerbase and, likewise, the playerbase had too much faith in the development team. Besides the Inspirational perk card in Charisma, there is no real benefit to any sort of cooperative play in this game. If you take time to read your forums and this subreddit, you’ll see that most people prefer playing solo, and they will continue to do so unless there is a substantial benefit to teaming up; making content more difficult to force teaming isn’t a wise move, either. Simply making one or two perks fractionally rewarding for teaming up isn’t enough incentive, and it appears you might have simply thought that people would want to team up and play cooperatively if you just gave them the option. Giving players the ability to play cooperatively doesn’t mean they will flock to it if they don’t have to or see some benefit to doing so. 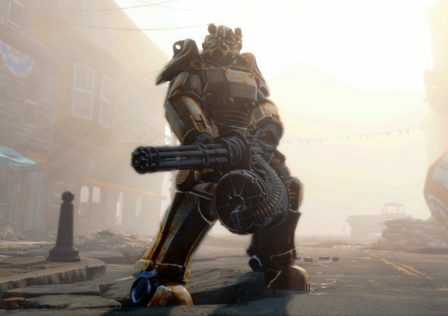 With respect to the playerbase having too much faith in the developers, those of us who have stuck by Bethesda know what you deliver: a buggy, beautiful mess that we can’t get enough of and keep coming back to. The previous games, while single player, had smaller but far more quality maps and explorable areas. Fallout 76 has a significantly larger map than any before it, but it’s filled with such space that 20 people on a map may barely run into each other. When they do, there is no incentive to do anything about that except go about your own ways. Actually, if you want to grief, there’s plenty of incentive to find other people and see how many players it takes to take your 300+ cap bounty while sporting your Assassin’s/Sentinel legendary armor; but that’s beside the point. 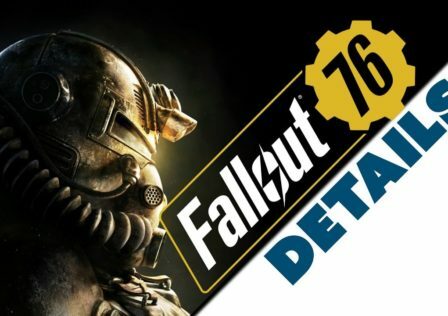 We, the players, had faith that you would provide us the content to keep us coming back to the story, the sense of belonging, and cooperative play that makes Fallout 76 unique to the others in the series. As of right now, all you’re showing us are nerfs, no future roadmaps except “it’s coming at a later date,” and a multitude of bug fixes that are simply introducing more bugs. 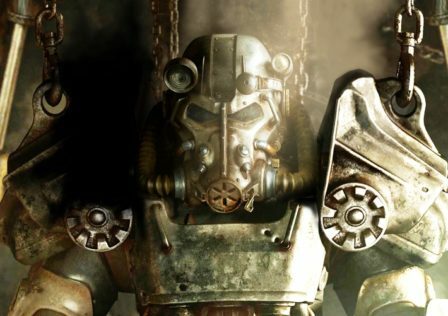 It’s disheartening, and the sometimes rage you see on these forums isn’t because of people going batshit insane to hate on everything you’ve done – it’s because we’re that damned passionate about why we love Fallout. We’re barely working together and cooperating in feedback, and you can’t expect us to do that in game with the way things are, either. Elder Scrolls Online translated pretty decently from the original games, and I think that I can safely say that many of us had similar hopes for Fallout 76. What you gave us was a rushed, jumbled mess that was lacking a monumentally important attribute: vision. We have absolutely no idea what you are doing and where you plan on taking this game in both the near and distant future. Also, there doesn’t appear to have been much vision in the development of Fallout 76 beyond creating a multiplayer experience in the Fallout universe. There’s just something “empty” about all of it; lacking in substance, superficial. The game you’ve made is beautiful and visually impressive, but beyond that isn’t quite dead – it just feels like it’s on life support, and whatever personality and ambition this story has is locked up behind a creative coma. I had to go back to playing a little of Fallout 3 and Fallout 4 recently to realize this, and I think I can explain what I mean a little better because of it. There is no real “cause” or “drive” to the story arc here, and a lot of that is because development made a choice to kill off all non-scorched, non-feral ghoul humanoid NPCs. NPCs are quite necessary to help tell a story, create ambience, and make a world seem alive. 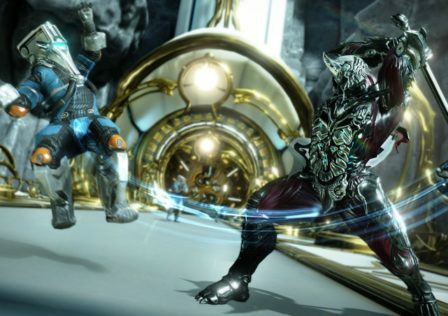 We all understand your explanation to kill everyone off in hopes that players would fill the void, but see my above musings on the lack of incentives for cooperative play. Though you’ve mentioned player vendors are coming, that’s not enough. At best, it’s a bandaid on an open arterial wound. The fact that we can become a Responder, a Fire Breather, a General in the Enclave (eventually President of the United States according to quest text), an Initiate in the Brotherhood of Steel, work with the Free States, the Order of Mysteries, Rose’s Raiders, and so on…yet these actually mean absolutely nothing in the end. Since these are necessary to do in order to progress through the Overseer’s journey, there’s no actual benefit or consequence to any of these. You join them all, progress through their storyline, and leave them behind when you’re done. This goes back to the lack of “vision” mentioned earlier. Because of your perk card system and the ability to join all factions with no benefits and subsequent consequences, there is no real reason to create an alt except to make a STASH mule. You only need one character to join all factions, level up to obtain all perks, and switch your build in and out at no cost except for a few seconds of time. There’s nothing else to it. If one makes an alt, they’re doing so knowing they will get the exact same experience as their first character all over again, though their initial choices in perks and stats might vary. Eventually, the similarities will merge both characters into identical path choices. Factions can change this. 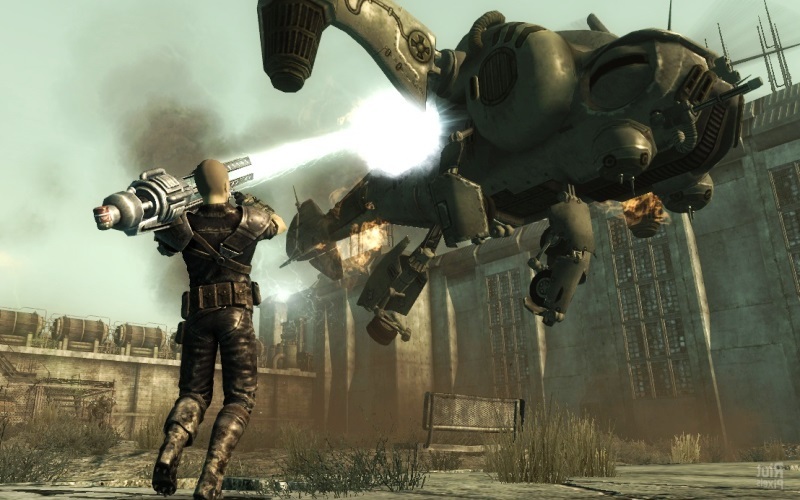 It’s fine that we can experience a little of everything, but previous Fallout games made us pick a side. With that side came a mission, benefits, consequences, and a sense of belonging to a cause. There’s a lot of narrative strength in choosing whose flag you want to salute, and that’s narrative strength Fallout 76 is missing right now. There is absolutely no sense of belonging, and no sign that development is doing anything about that. All of those factions listed have opportunities, but if you had to narrow it down, I’d suggest going with these: Responders (work the Firebreathers into this faction more directly), Enclave, Brotherhood of Steel, Raiders. Four distinct factions for you to develop so that players can get that sense of belonging. 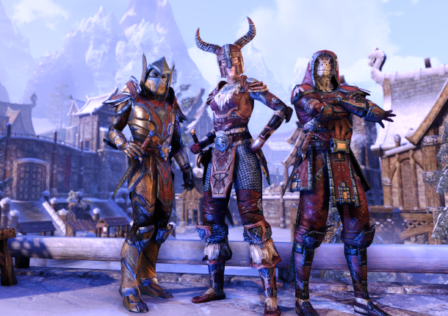 Introduce ranking systems based on missions you take on behalf of your faction, such as PvE or PvP objectives, and offer unique perks (through Charisma maybe?) which offer substantial benefits to teaming up with other members of your faction. Also, introduce a distance limit so that teams are encouraged to stay within specific ranges to keep these benefits, that way players aren’t just teaming up while doing their own things. I’m sure with one good round table meeting, your development team could brainstorm enough to implement to make these factions unique, rewarding, and engaging. 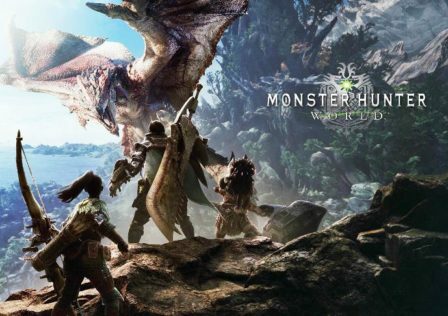 You’ve done it in the previous games, even though those were likely different teams – but you need to go back to your roots and see why that worked so well. If you doubt how much factions mean to your players, go back to old forum and subreddit posts over at fo3 and fo4, and look at how many people discussed and debated their choices for joining factions. Look how philosophical they got – how much each player internalized their decisions. See how personal it was to them, and look at how impersonal Fallout 76’s decisions are. That’s what you’re missing. There is no sense of belonging. It is in the very foundation of every Fallout game that you gain experience, level up, become stronger and more capable of surviving the wasteland, loot more powerful weapons, and become extremely powerful when compared to your earlier, younger self. In this game, we do the same, except there is no real difference between a level 50 and a level 300. Sure, a level 300 has had more opportunities to get powerful loot and overall experience in the game, but there is no statistic difference. Your vision appears to be caught between blinders that only see damage in terms of high and low numbers. You’re not addressing how they affect specific targets, and there appears to be very little attention paid to the viability of all weapons. Pistols are not worth using at high levels, only three or four legendary prefixes are of any use now (Furious, Explosive, Instigating, Bloodied), automatic and high rate-of-fire weapons break after a few minutes of use, laser weapons are underpowered compared to their ballistic counterparts, heavy weapons are still woefully underpowered (the 50 cal is about the only one worth using, and it’s marginal), and I could keep going. 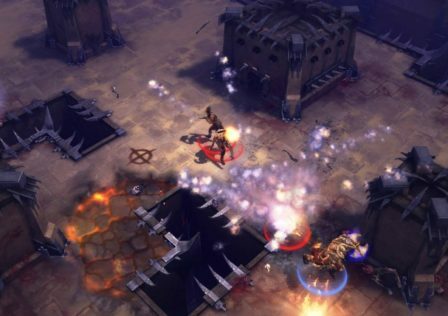 Ultimately, practically every game rewards players of higher levels with opportunities to become substantially more powerful against PvE content as they continue progressing. If you chose your stats and perks perfectly, however, there is no real reason for you to seek anything beyond level 50. There’s no benefit – nothing to continuously reach for except to show off a higher number. When you nerf your legendary effects and corresponding perks, you’re adding further complications. If you were (are) truly concerned about damage inflicted in PvP by these, you need to do what most other games with PvE and PvP content have done: set up a separate damage table for your PvP content. Maybe that means that the current nerfs you made to the Two Shot and/or Explosive legendary effects applies only to PvP engagements, but not PvE. The Assassin’s legendary effect on armor reduces player damage taken, so we know you have developed a way of distinguishing player damage vs NPC damage on the back end. Establishing two separate damage tables shouldn’t be too difficult from there, and you’ve solved a good chunk of PvP issues related to one-shot/excessive burst damage. Not everyone wants to participate in PvP, and there needs to be a means to protect individual players from griefers who want nothing more than to see/hear you dishing out empty complaints while they level your camp. Pacifist Mode needs to protect both the player from slap damage and their camp from destruction – however, you need to develop a way for PvPers not to exploit that function in order to stop other players from capturing their bounty or fighting back after they’ve made the first hit. Perhaps a 5 minute cooldown before it applies to your character after you turn it on? More if you’ve recently had a higher bounty (100+ Caps)? Also, make this option default on for new players. Right now, it’s default off. Let them get started without worrying or making some stupid mistake that ruins their initial impressions. We want you to succeed. We want you to give us the Fallout we know you’re capable of providing. If you succeed, we enjoy your game and keep returning for more, and you thrive because of it. Sometimes, it doesn’t appear that you understand just how easily you can have Fallout fans eating out of the palms of your hands; you’re just not giving us anything of substance to munch on. Instead of fresh roasted and salted peanuts, we’re getting the styrofoam packing peanuts while being told they’ll taste better if we keep eating them. We need you to drop the packing peanuts and upgrade to honey roasted, because we all know that styrofoam will kill us if we ingest it – and you’re player base is dying off fast in this game. That “Inside the Vault” for last week? It didn’t do you any favors. Everyone here, pretty much without exception, agreed it was superficial and hastily put together. The sonic screech attack nerf? Great. Should have been put in at the start when we were telling you it needed to be nerfed in the BETA feedback. But it seems like these entries are getting less and less substantial. It’s great that you’re fixing some bugs, but you have to find a balance between bug squashing and correcting your vision issue. Lastly, I beg of you, swallow some pride and turn to the community of well-established modders to help you with some of your bug fixes and feature implementations. There are modders here from Fallout 4 and Skyrim who appear far more adept at identifying problems and fixing your games than your own QA testers. If you ask them, I’d bet they’d all volunteer to help you for little more than recognition. It’s basically what you did for your Creation Club. Get them involved. They are very, very good at what they do. © Post "Thoughts on the long and short term, necessities and otherwise." for game Fallout.